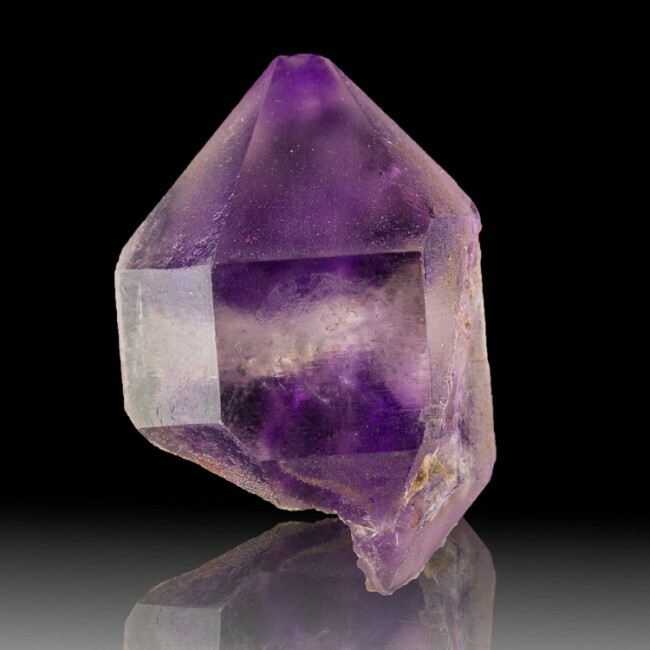 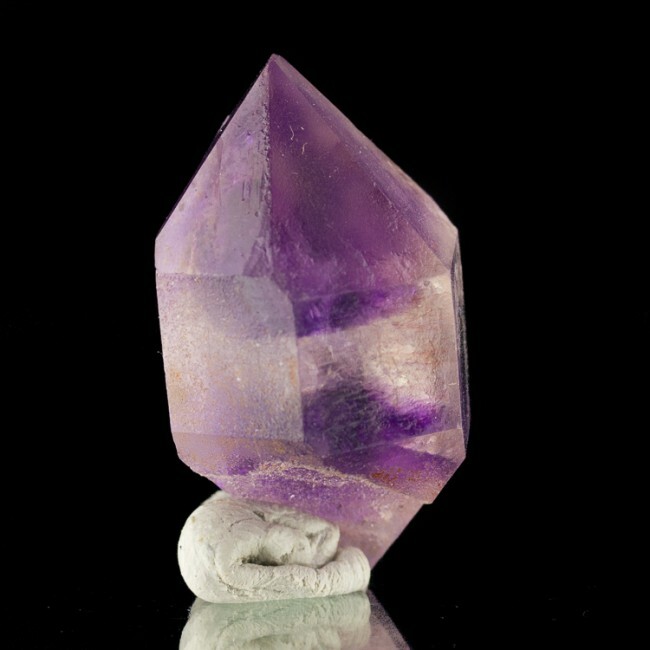 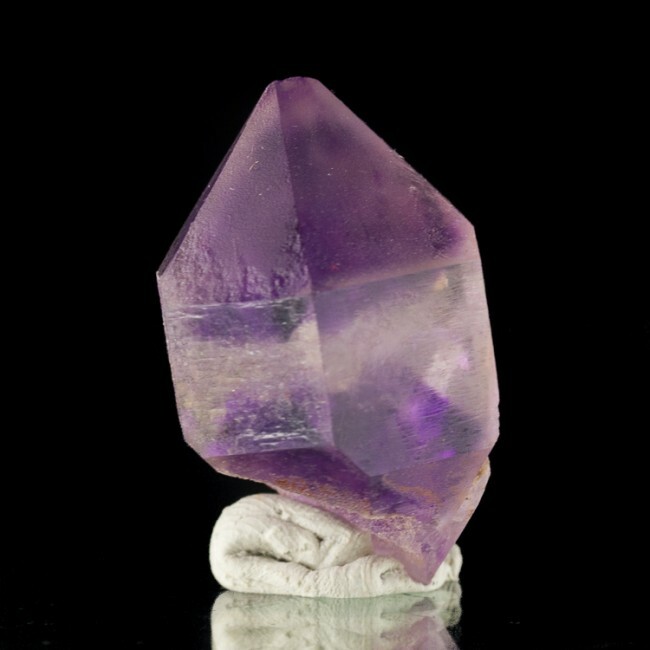 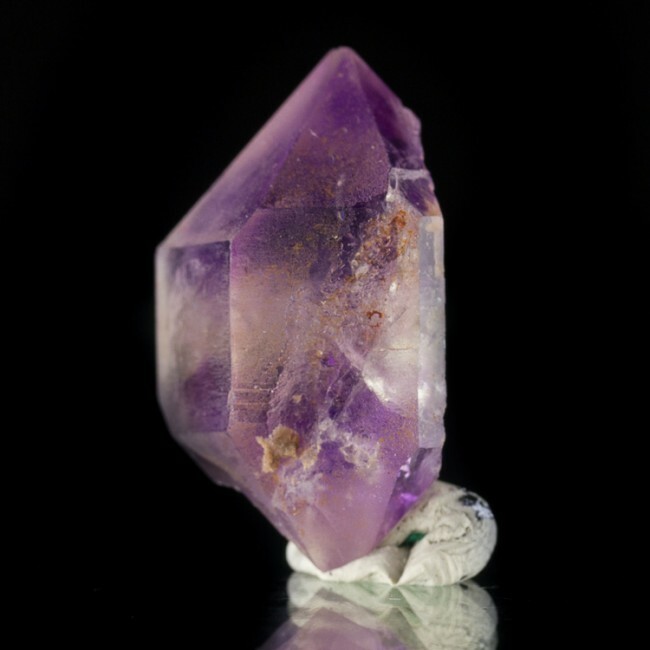 Size 1.4" x 0.9" x 0.7"
This doubly terminated quartz crystal has and amethyst phantom in both ends, starting at the termination and tapering down to almost connect with the phantom coming from the other end. 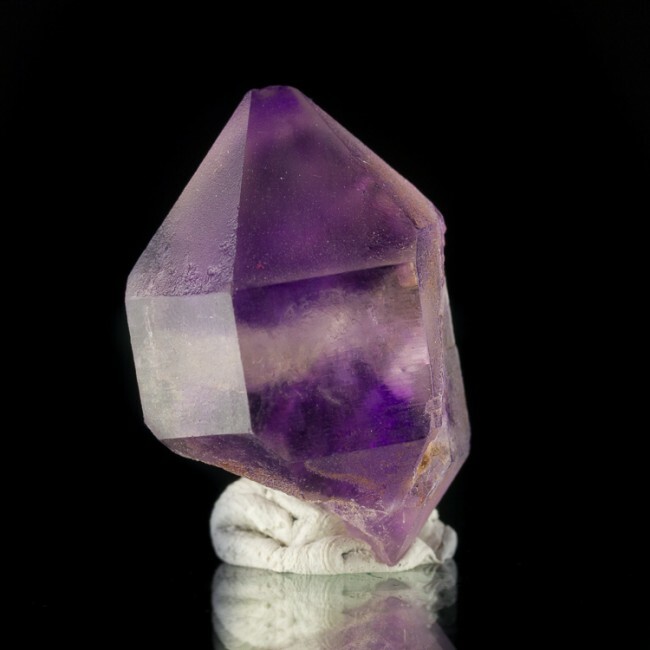 The back side of the crystal grew in mud or clay, and is incomplete, but not damaged. 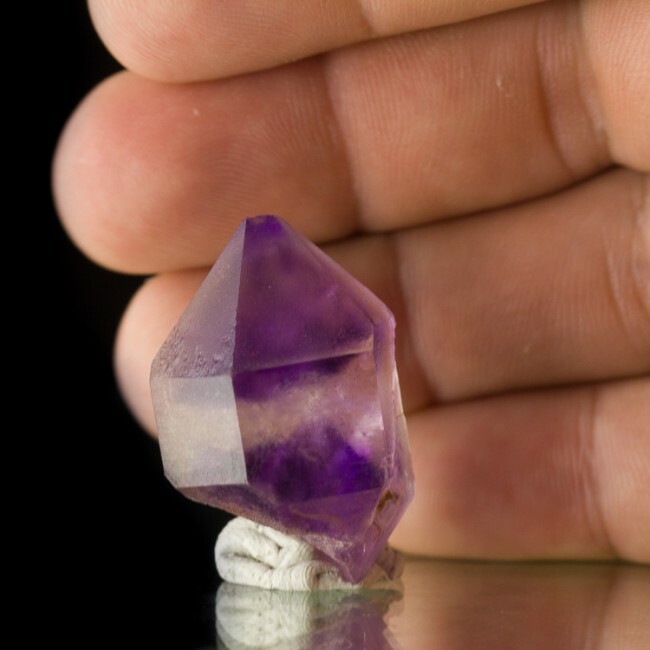 The locality is reportedly played out and closed.